When you see the temperatures rising to 30º or more, the last thing you would think to do is build a bonfire. But that's exactly what they will be doing all over the Costa Blanca. Many towns will be celebrating midsummer with a trip to the beach to build bonfires to jump over at midnight to bring good luck. 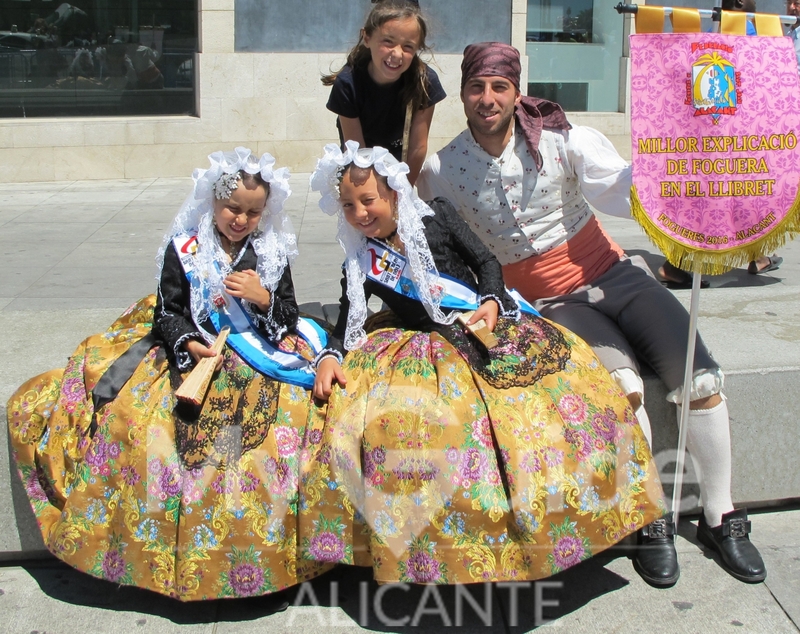 However, many towns in the Alicante province will be going a giant step further to celebrate the hogueras de San Juan. Instead of just bringing a few sticks for the beach bonfires of Saint John, about 90 years ago Alicante decided to turn it into a much grander affair and thus the hogueras de Alicante began. To all intents and purposes it is the twin fiesta to Valencia's fallas fiesta which heralds the beginning of spring. A few days before San Juan (St John), giant papier-mache statues go up in the streets of Alicante. These colourful, satirical statues can have a summery theme or poke fun of celebrities or politicians. 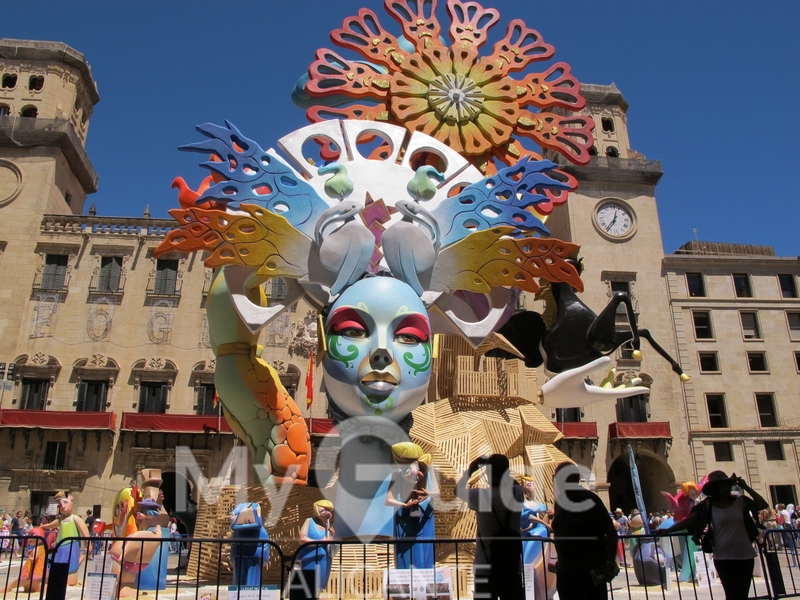 Although the hogueras was based on the fallas fiesta, the statues in Alicante are more artistic and can be quite surreal. Every day at 2pm, the noisy mascletas are set off at the beautiful Plaza de los Luceros. The mascletas are a very loud mix of fireworks and firecrackers which create an attractive sound booming out at 140 decibels or more. At midnight on San Juan Eve, the city enjoys a magnificent fireworks display before the statues are burnt in a ceremony known as la crema. During the hogueras de Alicante fiesta, you'll also stumble across street parties, parades of Alicante folk dressed in traditional costumes, flower offerings and magnificent fireworks displays. Not to be missed is the incredible Arribada del foc - a mesmerising spectable of light, sound and fireworks by El Corte Ingles in Calle Churruca. This year it takes place from midnight on June 17. In Costa Blanca North, Javea has embraced this fiesta with gusto. You'll find beautiful statues, street parties, music and a giant paella among the main attractions. 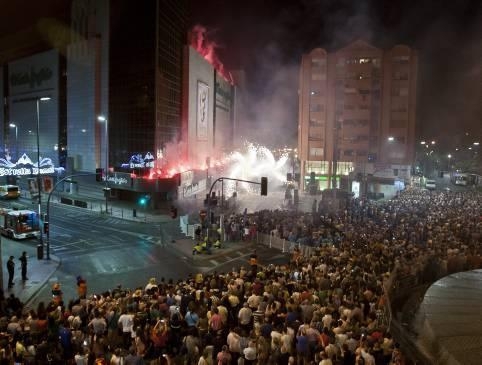 One of the highlights is the Nit de Foc with the impressive Correfoc show with fireworks in the Calle Raval de Baix and Plaza de la Constitucion. Just before midnight, the show begins with the Correfoc group dressed in black and some dressed as the devil, running down the streets of Javea while dancing to the beat of drums and setting off fireworks to create a theatrical spectacle of light, sound and vision. On June 23 many people will head to the beaches to celebrate the bonfires of San Juan. At midnight they will jump over the bonfires three times to be cleansed and their problems will be burned away. If you don't fancy that, just jump into the sea at midnight to wash away evil spirits. If you can’t get to Alicante in June, you can get an impression of the festival by visiting the Hogueras museum in the city centre, which is open from Tuesday to Sunday. The museum traces the history of the hogueras with examples of the statues from its early days until today.